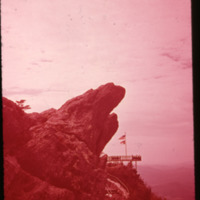 The Digital Watauga Project is a collaborative effort between the Watauga County Historical Society and the Watauga County Public Library to preserve and display the High Country's archival memory. PLEASE NOTE: It is not necessary to register or login to use Digital Watauga, and we do not approve registration requests. 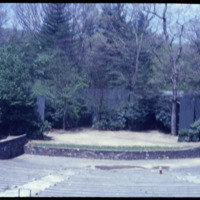 All users can comment on any item in a collection by using the comment field at the bottom of the page for that item. If you want to contact Digital Watauga staff, including about donating a collection, please email us at DigitalWatauga@gmail.com. 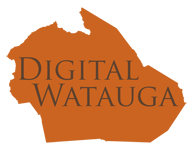 To learn the secrets of how to use Digital Watauga quickly and efficiently, please hover over the "Digital Watauga" link in the sidebar to the left, then click on "How to Use Digital Watauga." 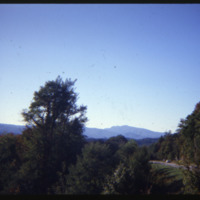 A color slide showing a car driving down a road through a forest in the mountains.